Always wanted a life-size panda bear? 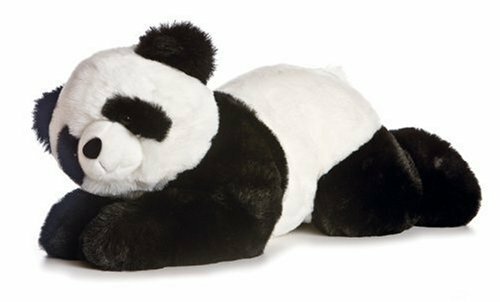 Your child will love to cuddle with a panda this size, using him as a favorite pillow while reading or watching videos, and continuing to hug him all through the night. 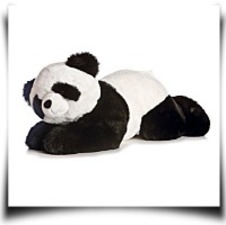 Surface-washable and stuffed with hypoallergenic polyester, this panda offers zillions of hugs. --Alexandra Shapiro Now's your chance, with A& A Plush's most desirably soft 28-inch Xie Xie. A perfect friend for those rainy days. Dimensions: Height: 11.5" Length: 28.5" Depth: 12"
Package: Height: 10" Length: 28" Width: 10"